Every week, we bring you a must-hear track from the Le Guess Who? 2018 line-up. Almost a half year ago, we started off with Kojey Radical's powerful and stirring track 'If Only'. Now, twenty-four weeks later, we have highlighted some of the most remarkable musical treasures of this year's line-up, ranging from Katey Red's fast-paced bounce to the improvisational gutter-soul of Lonnie Holley. To top it off, this week's track is Kadri Gopalnath's song 'Bhagyada Lakshmi Baaramma': a hypnotic display of Carnatic music which builds slowly towards a fierce climax. 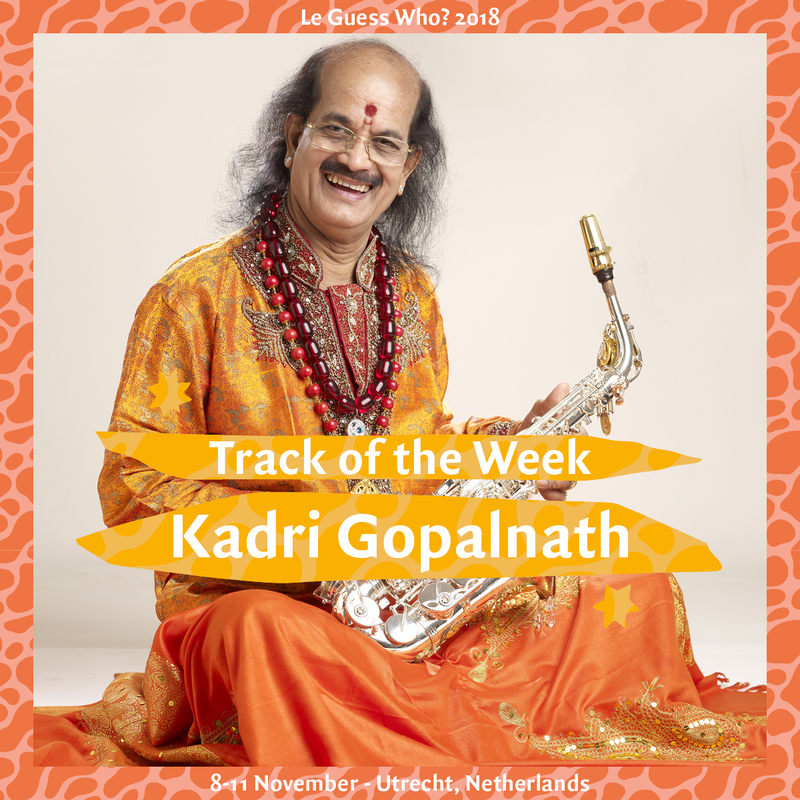 Kadri Gopalnath spent a lifetime to successfully master and integrate the saxophone into classical Indian Carnatic music: a very orthodox Indian genre, considered to be one of the oldest classical music structures in the world. He did this with great success, becoming one of the most acclaimed and celebrated musicians of India. With his single-handedly modified saxophone, by which he's able to play the sung-like Carnatic arrangements with dazzling speed, Gopalnath creates an ecstatic and majestic sound. As the track 'Bhagyada Lakshmi Baaramma' starts off with Gopalnath's otherworldly sax sounds, the song slowly builds towards a thrilling climax. Driven by quick-paced percussion and a sharp-edge violin, this track ultimately transcend into spiritual heights. Listen this week's track below. To learn more about Kadri Gopalnath, read our feature here. Kadri Gopalnath's performance at Le Guess Who? 2018 is curated by Shabaka Hutchings. Also performing at the festival are a.o. Art Ensemble of Chicago, Anoushka Shankar & Manu Delago with MO Strings, Midori Takada, Colin Stetson, Sons of Kemet XL, STUFF., Sourakata Koite, Irreversible Entanglements feat. Pat Thomas, and many more.